The study is a continuation of our The Right Trajectory research study released in November 2015. 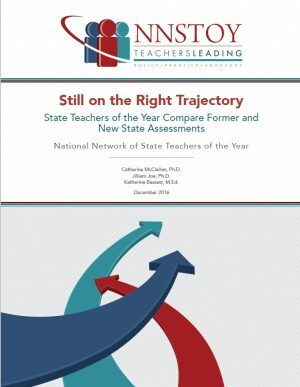 In this follow-up study, we focus on the Western part of our country, examining the grade 5 assessments given by the states of Nevada and Oregon and the grade 5 assessment developed by the Smarter Balanced consortium, to which the states have switched. A panel of the best teachers in the country convened to give voice to critical questions about the quality of former and new state assessments, with particular attention paid to the new consortium test under study. These front-line experts believe that despite challenges still to be overcome, Smarter Balanced is an improvement on the former assessments and represents movement in the right direction for students and for education in their states.